The Gingerbread update for the DROID2 Global has finally returned after a 3 month bug fixing hiatus. We reported over the weekend that a soak test for the update was set to begin some time in early September and are now seeing the changelog for it reappear. Nothing has changed at least on paper, but you can bet that all of the fixes that were included in the latest DROIDX update were patched into this. 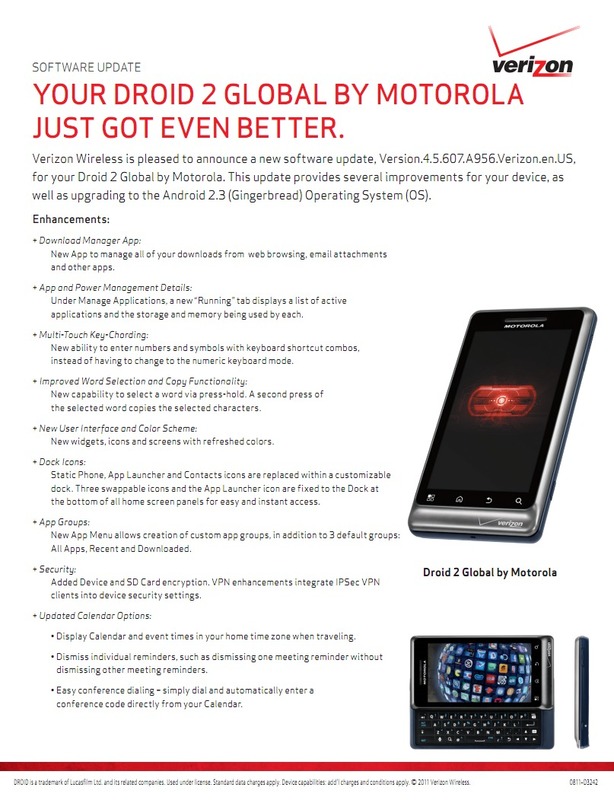 So that puts 2.3 on the DX, D2 (soak test began last night), D2 Global, DX2, and DROID3. 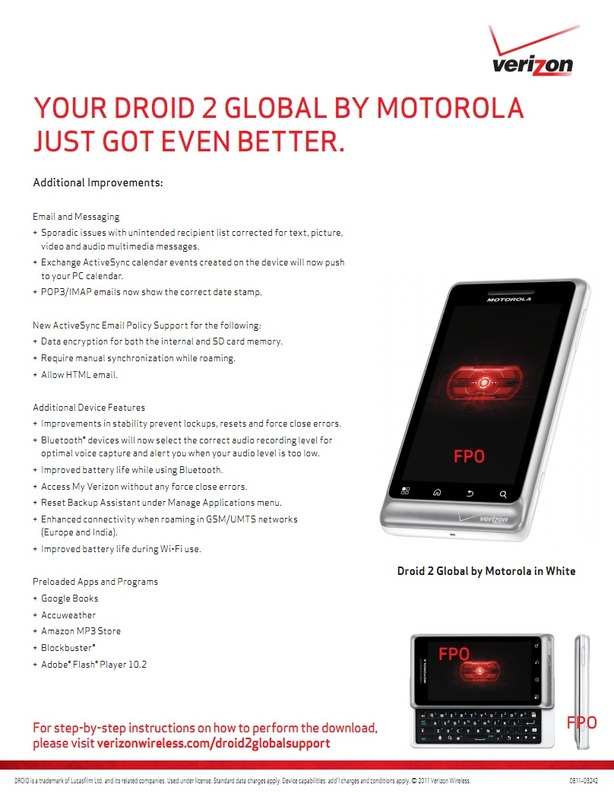 All we have left now from Motorola is the Pro. Oh, no word on the Incredible update at this time – it’s still delayed to our knowledge. Blur version after the update is 4.5.607.